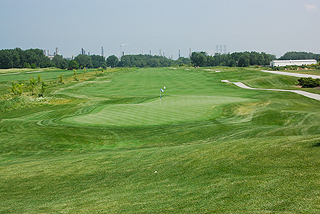 Driving through a heavily industrialized neighborhood in Hammond, Indiana near the Illinois/Indiana border, I was not sure what I was getting into for my review round at Lost Marsh. What a pleasant surprise! 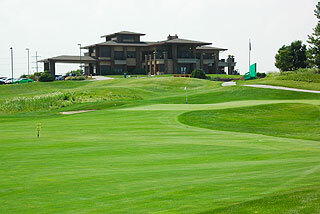 This is one incredibly beautiful golf course that can experienced at very affordable rates. 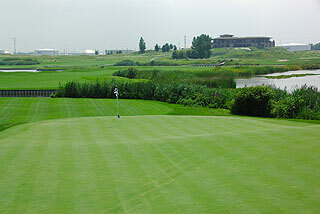 The layout features wide and wonderfully conditioned bent grass fairways with a nice mix of open and tree lined holes. There are extensive natural areas with mounding and slopes bordering a rolling topography. Especially enticing are the opening holes on both the front and back. Number one plays from a very elevated tee and doglegs to the right, with a lake in the background that can be reached by long hitters who do not accurately shape their tee shot. 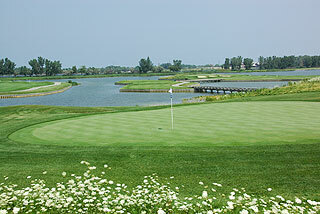 Number ten also begins from elevated tee areas, and plays to a green protected by a lake that wraps around both sides. Photos of each hole are pictured below. 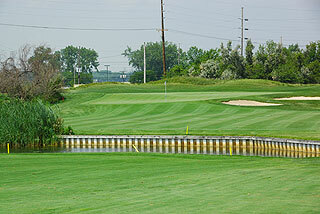 The second also warrants some attention, as this par three plays from an island tee over a marsh. The 4th plays over more natural areas off the tee then again on the approach, and the fifth plays uphill to the right and plummets back down to the left with the putting complex protected on the perimeters by picturesque wetlands. These opening holes will impress, and throughout golfers will appreciate the wonderful condition of the tees, fairways and greens. Sprinkler heads, cart paths and yardage blocks all provide measurements to the center of the green, and the score cards also provide hole diagrams and yardage info. Three set of tees play to distances and slopes measuring 6773 yards/128 slope, 6024 yards/122 slope, and 4929 yards with a slope of 110 for men and 113 for women. Many of the landing zones are quite spacious, but accuracy off the tee is a must on several holes. 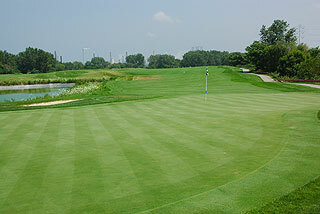 The entire back nine is very interesting, with the stretch of holes from 10-13 providing particularly stunning views, with playing surfaces surrounded by water featuring picturesque bridges and retaining walls, as evidenced in the photos above and below. Holes 14 and 15 play along natural areas and 16 is tightly tree-lined, before the layout opens up again with more open, links style holes for the finish, highlighting the great variety in design here. The facilities on property include a grass range and putting/chipping green, plus 19th hole snack area which serves beverages plus hot dogs, brats and pizza. 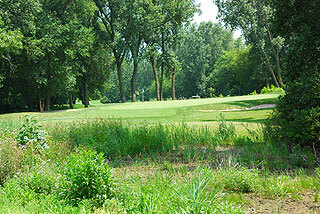 There also is a nine hole par three - ideal for a quick round, for work on the short game, and for beginners and juniors. In fact, there is a separate clubhouse for juniors, with indoor green, large screen TV and lounge - all geared toward the junior golfer. The junior program here is exceptional - as the $15 eight week program all players 17 and under receive 1 year of free range balls and free play on the par the course! 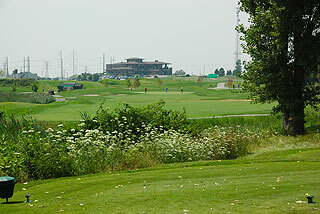 The regular fee for juniors is just $2 year long on the par three! For more info on Lost Marsh visit our page for the facility, with direct link to their website by clicking here.